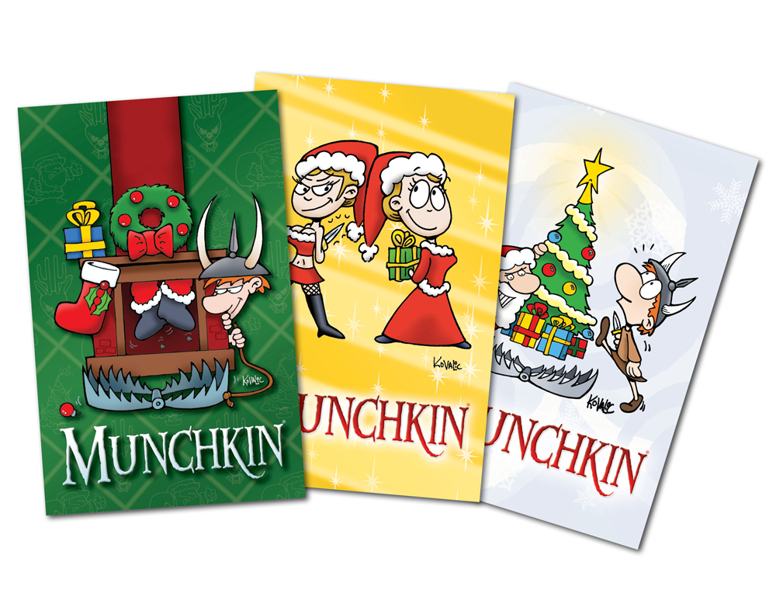 Do you like Munchkin? Considering that you're reading this blog, chances are good that the answer is "yes." Well, if it is, we've got you covered in November. 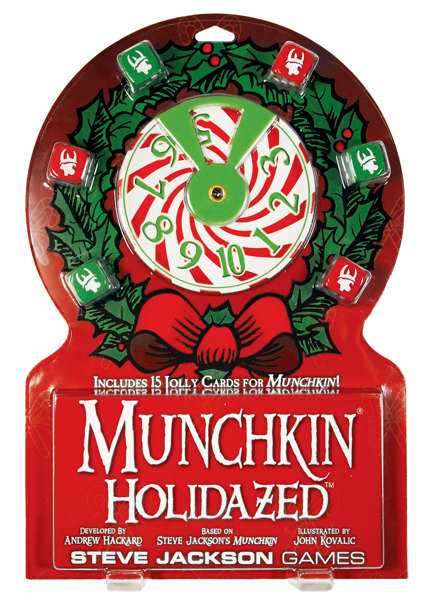 Holidazed pack combining eleven new cards with four reprints from the hard-to-find Munchkin Holiday Surprise, a candy-themed Level counter, and six red-and-green festive 14mm dice! Not included: gratuitous exclamation points!!!!! 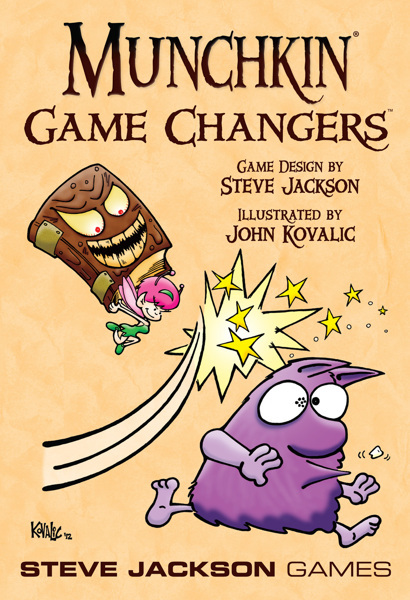 This was previously an exclusive with Barnes & Noble, but now it's available anywhere other Munchkin games are sold! 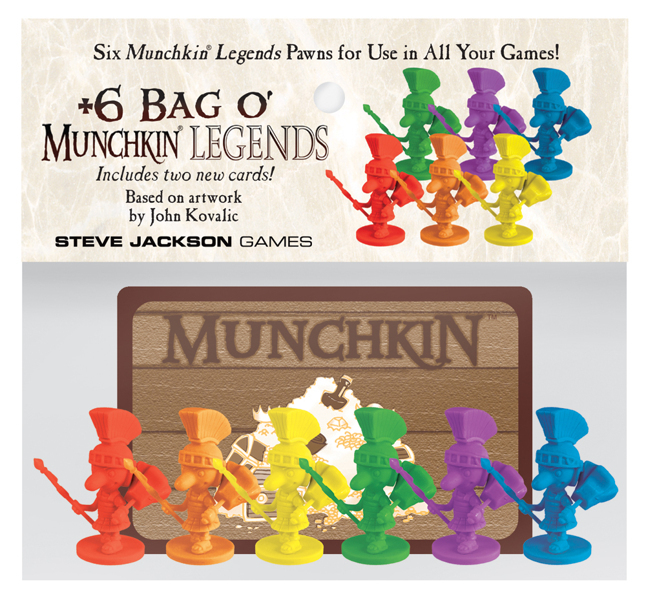 Extra bonus -- legendary Munchkins! 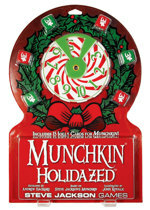 These six Munchkin Legends pawns can be used along with the board from Munchkin Deluxe, Munchkin Level Playing Field, or Munchkin Board of Health to track your Level . . . or to mark your place in any game. 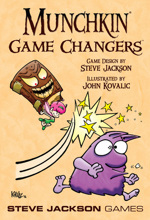 For more munchkinly ways to use them, turn this card over, or visit www.worldofmunchkin.com/pawns/.